Regamebox is a retro game distribution for raspberry pi and the ArcadeForge Add on Boards pi2scart and pi2jamma. After downloading and decompression this files show up. Download the image file. Use MegaSync Program. Buy here if you don’t want to download. Unpack file with 7zip (http://www.7-zip.de/download.html). optional: If you want to use a USB Stick, attach a empty USB Stick to the raspberry pi and boot. You will be prompted for generating the needed folder on the USB Stick. After this procedure your USB stick will be ready to use. Copy yout game roms. Support of horizontal and vertical screen with automatic generation of game lists. 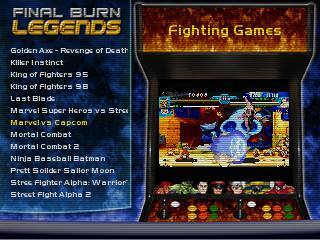 Game Menu is developed for display at 15Khz low resolutions and high resolution via hdmi. ReGamebox is based on the Arch Linux OS. Regamebox can be used with or without a USB stick for storing your games. All roms are stored on USB Stick folder. On windows a USB Stick is listed as normal drive. Please format as fat32 or extfs. The needed folder are generated automatically when plugging a empty USB Stick to the raspberry pi with regambox. Find in folder roms the roms. Next copying of roms is described. Please copy roms to rpi2jamma/roms plus the folder name in the table below. i.e. Copy roms for atari2600 to folder rpi2jamma/roms/atari2600″ on USB stick. In the Pi2jamma distribution the path for the USB Stick is /mnt/sda. Do check the correct rom set speccification. Roms will be scanned on each start of system. 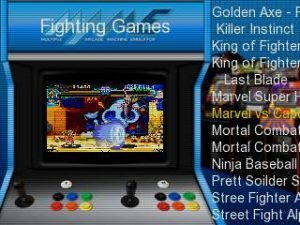 The game menu shows the roms according the roms in your rom folders. For emulator specific setting refer to emulator documentation. For NES emulator the alternative nestopia exists. Use rom folder nestopia for using this this emulator. Start Regamebox with connected keyboard. 3. Install your cores, quit retroarch menu. 6. Create folder name on rom folder and copy your roms to your new core. For renaming folder names use steps 4 to 6 and use your wanted names in emulators.conf and folder names in rom folder. For downloading rom set basic knowledge of using zip files and torrent downloads is needed. Regamebox uses gamefilter for full lists and parents. Edit the wanted gamelist. The following console emulators require bios files to operate. Place these bios files in their respective rom folders. For the DRS the option Custom Res Mode must be enabled. Find it at Configuration – Options Menu – Turn Custom Res on or off. Default is on. When starting a game the native resolution will be gathered from arcade_res_table.txt. The resolution will be then adapted to hdmi_timing that can be found in the table custom_resolution_table.txt. – User starts game Airwolf. – regamebox set the hdmi_timings, modified the top level retroarch configuration file /root/.config/retroarch/retroarch.cfg and sets the resolution information. Thus the user can override the retroarch setting by use core or game specific resolutions. – User starts game Super Turrican. This section describes the features that can be used with the regamebox distribution. They gives you control about the whole software installation. Select here between the different CRT Profile setting to achive the best 15 Khz video output. The list contains consumer CTR, Sony PVM BVM CRT Profile, Arcade CRTs and custom CRT profile. Select what suites best for you. All profiles despite of custom comes with presetting. The custom profile can be used for your own adjusted settings. Calibrate screen. If you use the custom CRT Profile you can calibrate your screen here with a simple 4 step dialogue. Take care, the step pitch is very fine grained. Switch to Vertical / Horizontal Screen : Toggle H/V changes the orientation settings for your CRT on the fly. Set Menu Overscan : Change here the Lemonlauncher overscan. Edit Custom Resolution Table: Each emulator core can be started with custom hdmi_timings. hdmi_timings define the resolution of the screen. Edit the resolution for your needs. 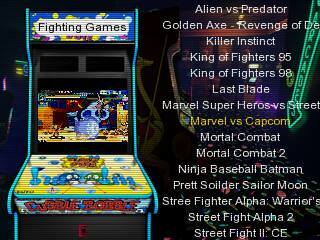 Edit Arcade Resolution : If you find a rom that has a wrong resolution setting or is missing you can add and correct it here. Flip Screen : Turns screen upside down or left right. Turn Custom Res on and off: Toggles custom res on or off. If off only the config.txt resolution is used. Turn Music On/Off: Toggles music on and off. 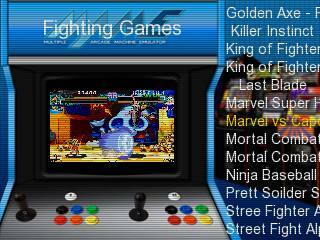 Find music on usb stick /mnt/sda/menu-audio Add mp3 and edit the arcade.pls playlist if you need new music. If you want to use regambox with usb gamepads and you don’t like the default setting you can modify it here. Switch to Pi2Jamma or PI2SCART Mode : This mode shutdowns the pi2jamma control key demon pikeyd. Now the control interface is free and other hardware like pi2scart addon can be used. Default mode is automatic. This means the attached hardware is recognised automatically. Turn explicit settings if you know what hardware you are using (no, this is not self evident :)) and save 3 seconds boot up time. Configure USB Gamepad : Take this option and select from a list of pre configured USB pads like snes usb pads, xbox360, c64 mini joystick and more. Switch to 3 Button, 4 Buttons or 6 Buttons : Use this opion for lr-fbalpha. The default setting put fire button 1 to arcade control panel button 4. Correct, if you now have a 3 button panel you can not play any game. Use this option then. Wifi : use this feature to configure your wifi connection. It takes some seconds to establish all services like sftp, ssh, samba and so on. Everything is done for you. 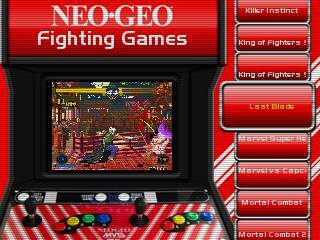 Disable Wifi : So you are ready transfer your roms and your arcade cab is in the cellar and you do not have wifi at all. Turn it off to save 15sec boot time then for non active wifi search. Retroarch Menu : Opens graphical retroarch configuration menu. Edit Emulators.cfg Change here the mapping bewteen folder names and emulators. Yes, here can change the menu item names. Rename Rom folder according to this file. Text editor nano is used. Save with CTRL+ s and CTRL + x.
C64 Vice Menu : Opens C64 Vice Config Screen. Edit C64 Keys : pikeyd is the demon for controlling keys via pi2jamma. The config file is at /etc/pikey165.conf With this options the vice specific settings will be edited. It can be edited directly with the text editor nano. Save with CTRL +s and CTRL + x. Keyboard is needed. Edit Keys : pikeyd is the demon for controlling keys via pi2jamma. The config file is at /etc/pikey165.conf With this options the Key settings will be edited. It can be edited directly with the text editor nano. Save with CTRL + s and CTRL + x. Keyboard is needed. Lock Games: Lock mode, this mode lock the ESC key and options shortcuts from the keyboard layout. Take this option if you want to run only one game and user should not change any setting, ie cabs in your store or public. Unlock Games: Lock mode, this mode lock the ESC key and options shortcuts from the keyboard layout. Take this option if you want to run only one game and user should not change any setting, ie cabs in your store or public. Command Shell : opens command shell with root rights. Execute “/root/autostart_test.sh” to get again to the menu. Edit Regamebox Config : opens up the text editor nano with all parameters in the file regamebox.conf. Make sure you have attached a keyboard. ctrl + s followed by strl+x to save and exit. Generate USB Stick Folder : If you messed somehow up the automatic generation of the folder for your usb stick, then you can re-generate it here. Copy roms from USB To SD: if you want to use sd card only setup generate a usb stick, copy your stuff to the usb and then use this option to copy the games from usb to sd card. Yes, size is checked before. Show Config : All settings are shown in a list. Make Backup : Whole Image will be backed up. The system files without roms of your USB Stick will be backed as well. All files will be copied as image file to “/mnt/sda/backup”. Show Log : Shows the log of regamebox. Export config : Stores important configurations files like keymapping, retroarch, advmame, front end lemonlauncher config to USB Stick “/mnt/sda/config”. Compressed file is generated “/mnt/sda/config_pi2jamma.tgz”. Set German Keyboard: Set keyboard locale to german. Set UK Keyboard: Set keyboard locale to UK. Set US Keyboard: Set keyboard locale to US. Set FR Keyboard: Set keyboard locale to FR. Test Keys: Keyboard is tested. This way pi2jamma can be tested. Keyboard is needed. Test Gamepad : SNES USB Gamepad is tested. Refresh Game lists . Use this option if you added games via network and don want to reboot. Show last Game : check what the last played game was. Turn Favourites Menu On or Off : Favourites Menu will be shown in root menu or not. Delete all Favourites: Favourites List will be deleted. Delete last game from Favourites: Last played game will be deleted from Favourites List. Add last game from Favourites: Last played game will be added from Favourites List. Delete History: History List will be deleted. All the above features can be controlled via file in regamebox.conf as well in the regamebox menu. Some features needs keyboard. This feature is only accesible via regamebox.conf file. Admin or Gamer mode: Admin mode has all options and themes. Gamer mode has only emulators. This is for hiding all the configuration features from users. Ie for your game party. Turn off or on the automatic refresh of game lists. Parameter REFRESH_GAMELIST=”Y” or “N”. If you want to edit the gamelist with custom modifcations, then put your games, then turn off automatic refresh and edit the list /root/.lemonlauncher/games.conf with your ie nano. Only for users who can use a text editor! INIT_REGAMEBOX : some setup scripts can be used at the very first start of regamebox, ie config of wifi, keyboard etc. Not used yet. Themes can be selected in the section themes and will be installed on the fly. 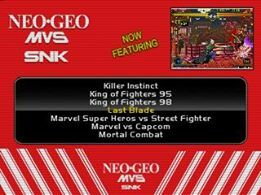 There is a test theme for adjusting your Arcade TV. C64 and similar home computers needs extra settings. To change this settings go to options – edit keys. I’ve given up to find a good ESC button combination for all users. Just go to Options – Edit Keys and define your own. Or use my settings. There will be no more changes here on this topic. A splash screen is loaded on startup. Find this file on /root/splash.png. Just add here a new file if you want a new splash. Patches must be copied to USB Stick in folder “rpi2jamma”. Plug in usb stick, start your arcade machine. Patch is executed automatically by ReGamebox. After installation the patch will receive the file name addition “done”. Q: Sound seems distorted somehow…? A: Goto Options – Set Volume and turn it all the way up. then adjust the volume dial on pcb board to suit. This will eliminate the audio issues you are having. Q: What the heck about this resolution and pixel perfect display?A: The resolution of an arcade game is different from game to game. Some games don’t display at a true 15khz and therefore won’t display a picture. What the dsr tool does is set the pi output to match the game as close to the original hardware as possible. Arcade hardware also made use of the overscan to increase there horizontal pixel count and tweaked the vertical sync to display more lines. The point of it is to display the games as true to original hardware as possible. Because the pi doesn’t output all the resolutions natively if it’s set to say 320×240 @ 15khz any game with a different resolution displays a blank screen the dsr fixed that issue and also allows the resolution to change without a reboot. Q: Vertical mode is flipped. How can I change orientation of display ? Q: How to play vertical games on a horizontal monitor in AdvMame? A: Use Options – Screen – Switch to H/V to configure your screen. Vertical games will be displayed on horizontal screen with no issue. Q: How is the joystick mapped? Q: how to change to USB Joystick for retroarch emulator. A: Start retroarch emulator core like lr-fbaalpha, snes or other. Change to menu with F1. Apply your settings. Q: Where do I find timings specific information for games?